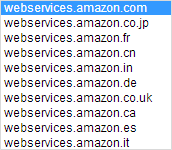 This is a beginners guide to consuming the Product Advertising API of Amazon. 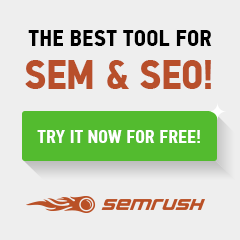 I will be targeting “ItemLookup” method here. But any other API methods like “ItemSearch”, “BrowseNodeLookup”, “SimilarityLookup”, “CartAdd”, “CartClear”, “CartGet”, “CartModify” should look like a cake walk after this. That’s all. 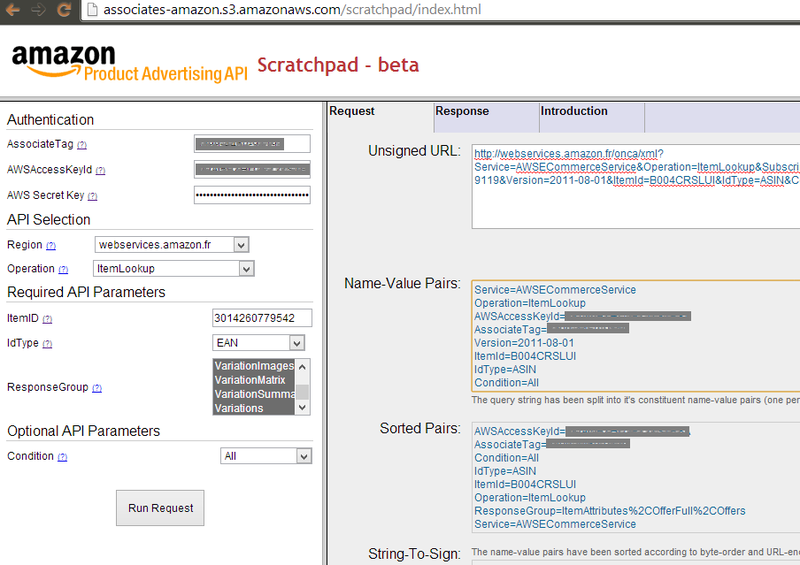 Now you are all set to consume the Amazon Product Advertising API. Consuming the API is not that straight forward, especially due to the authentication process involved. Which is good in one way. And this is where most us normally tend to get frustrated. I totally agree. I hope this post help you avoid wasting days of investigations on that. I also hope Amazon improves their documentation as well. Forget all those things for the time being….At the end of the day, all we need get is a simple URL, which you can paste it in your browser and see the results. Let me show you what i meant by this. Then we will proceed on how to construct this URL. I have removed the Associate Tag and Access Key Id, from the URL, for security purpose. 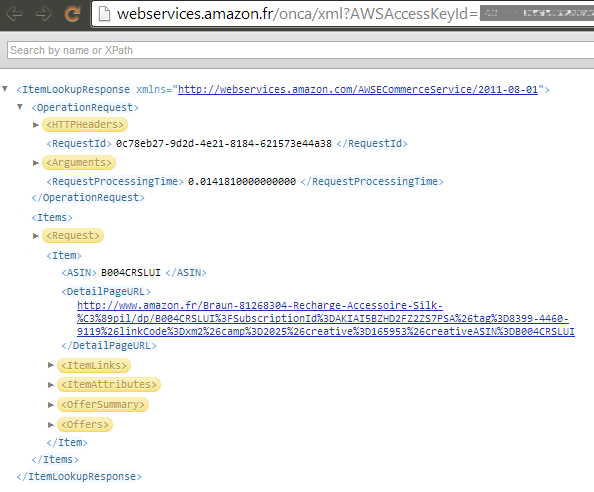 Use Case: Get the details of a product with ASIN ID “B004CRSLUI”, in Amazon France Site. For C# users, there is a helper class called “SignedRequestHelper.cs” available from one of the sample codes in the above link. You can also download that file here SignedRequestHelper.cs. The responseDocument would be the “ItemLookupResponse” XML, similar to the browser screenshot i showed earlier in this post. There quite a handful of libraries in different programming languages that are available here, which you can use to sign your URL. Most of them are methods that accept your Access ID Key, Access Secret Key, Associate ID, the unsigned URL as inputs and return the signed URL as the output. Run the finally constructed Signed URL in your browser to see the product data. I hope this post gave you a quick start to consuming Amazon Product Advertising API and helped your development efforts. Feel free to post your queries here. Thanks you sooooo much!!!! !.You saved lot of time for me. It is working perfectly !